I'm very excited for this year's FanExpo Boston. Last year was the 10th anniversary of the show and the way in which it's grown has been really remarkable for me to see. 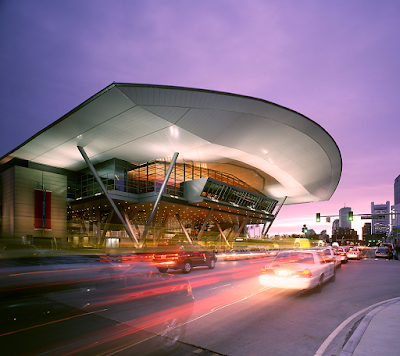 This is the second year the show is run by Fan Expo, this year they're expecting upwards of 50,000 people, and the convention takes place at the Boston Convention & Exhibition Center (BCEC), the largest convention space in Boston. A number of prominent comics creators (John Byrne, Frank Quitely, Jim Lee, Amanda Conner, Tom King, Nick Spencer, Brian Stelfreeze, Jae Lee) will be there, among many others. There will also be a strong showing from independent and up-and-coming creators such as Tini Howard, Sam Humphries, Steve Orlando, Robert Wilson IV, Sorah Suhng, and many others. There's a huge artists alley area, so make sure to wander over and look around, you never know what unexpected cool comic you might find. Comic conventions are an amazing opportunity to meet and talk to writers and artists who create the comics you love, and to support them by buying directly from them. There's a great, wide selection of panels and other events including anime screenings, speed dating, cosplay discussion, drawing instruction, celebrity Q&A, sketch duels, and more. I'm particularly interested in the comics-related panels such as a DC-focused panel, writing comics, and an indie-focused panel. If you're a fan of celebrity guests (I'm not particularly, but I know I'm probably in the minority on that point), there's lots to choose from, like Jeff Goldblum, Michael J. Fox, Evangeline Lilly, William Shatner, and others who'll be available for photos and autographs. Boston always has a strong selection of retailers selling older comics, cheap trades and other merchandise (you'll definitely see me looking for half-price trades). There's always some excellent and creative cosplay to admire as well. The Boston Comic-Con runs from August 10-12, 2018 at the BCEC. Maybe I'll see you there!